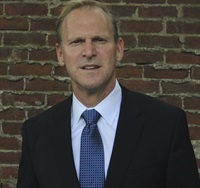 Walt Pavlo is the president of Prisonology, an educational software supporting law firms and their clients on information about the federal prison system. He is a contributor to Forbes.com where he writes on white-collar crime and is the co-author of Stolen Without A Gun, which he co-wrote with Neil Weinberg (Reporter at Bloomberg). Mr. Pavlo is a nationally recognized speaker who has been a part of training programs at the Federal Bureau of Investigation, major corporations, professional societies and top ranked MBA programs across the country. Mr. Pavlo earned his B.S. in Industrial Engineering from West Virginia University and his MBA in Finance from Mercer University. He is also a Journalist Law School Fellow at Loyola Law School (2014).